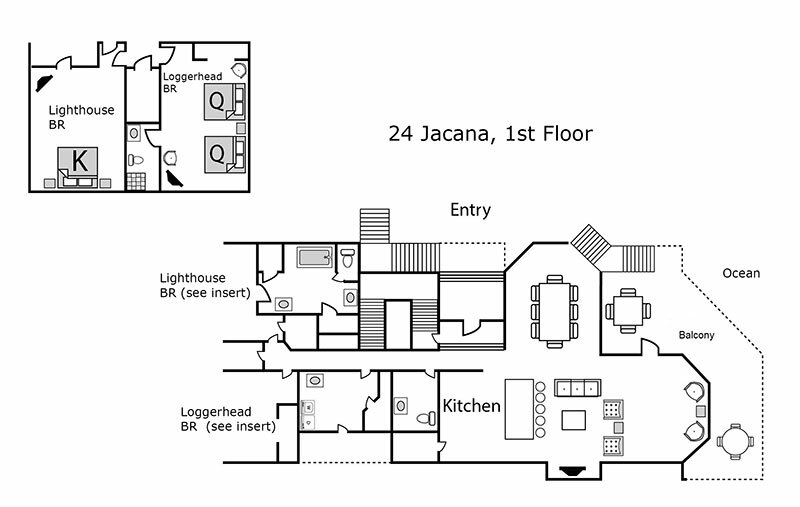 Welcome to "Loggerhead Pointe" at 24 Jacana in N. Forest Beach! This seven-bedroom luxury vacation home offers dramatic ocean views, exceptional design, spacious layout and the finest amenities for your next family or group vacation. Upon entering the home at Loggerhead Pointe, breathtaking views of the Atlantic Ocean will greet you, confirming that you have truly arrived at the beach. 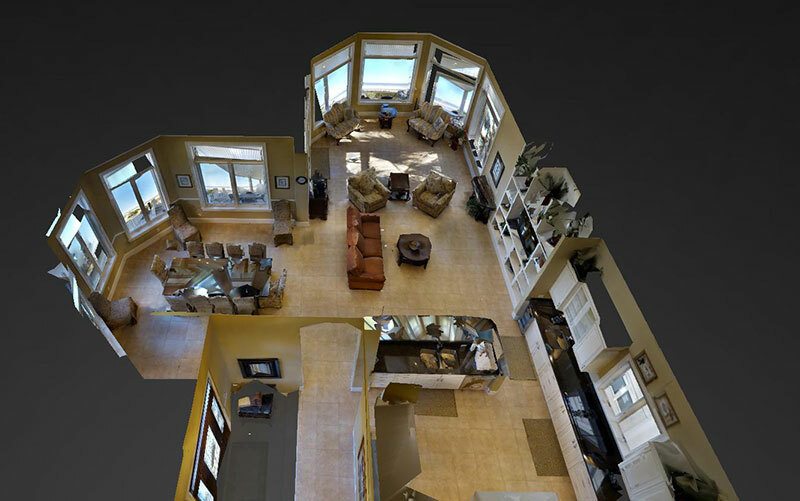 With the ocean serving as a backdrop, the main level of the home features a kitchen with granite counters and bar stools, formal Dining Room with seating for 12 guests, and Living Room with large flat screen TV, fine furnishings and access door to the first of two oceanfront balconies. The main level also features a spare refrigerator in the pantry, full laundry room, half bath and two bedrooms. The Lighthouse Bedroom is a master suite with King bed, closet, flat screen TV and large bathroom with two vanities, soaking tub and walk-in shower. Ocean views can be seen from both the bedroom and bath of the Lighthouse bedroom. The second bedroom on this level, the Loggerhead Bedroom, features two Queen beds, closet, flat screen TV and full bath with shower. The 2nd Floor features a large oceanfront Living Room with game table and 2 couches (one of which a Sleeper Sofa), each with a private flat screen TV. The game table is also perfect for dining with adjacent kitchenette with granite counters, wet bar and mini refrigerator. The Atlantic Ocean, again, provides a stellar backdrop to this living area, which is magnified by the upper balcony with sensational panoramic views. The second Master bedroom, the Breakers Bedroom, takes advantage of the ocean views with optimal windows and access to the upper balcony. This suite also includes a large bath with two vanities, separate tub and shower and large window with ocean views. The other bedrooms on this level include the Sand Dollar Bedroom with two Queen beds, closet, flat screen TV, ocean view and full bath with shower. The Sand Castle bedroom features a King bed, closet, flat screen TV, ocean view and full bath with shower, and the Sandpiper Bedroom features two Queen beds, closet, flat screen TV and full bath. The 7th bedroom, “Crew Quarters” has 2 sets of bunk beds, closet, mounted flat screen TV and full bath in the nearby hallway. A second laundry room completes the 2nd Floor with full size washer and dryer. In addition to 2 large living areas, 2 master suites, 2 laundry rooms and multiple oceanfront decks and balconies, the exterior amenities will bring your vacation full circle. 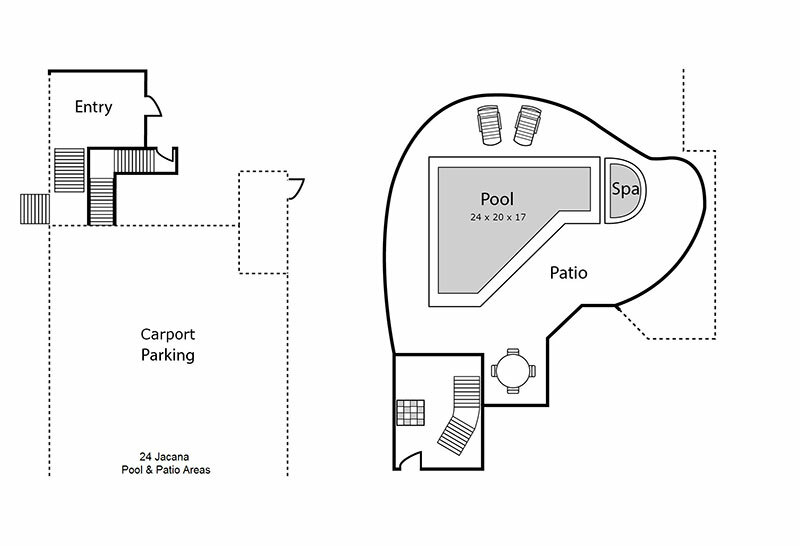 The private swimming pool with outdoor spa provides hours of recreation and relaxation, while covered patio areas supplement areas of direct sunlight with chaise lounges on the pool deck made of pavers. With the beach only a few steps away, an outside shower is convenient for rinsing sandy feet before a refreshing dip in the pool. The pool deck also features a gas grill to satisfy the most die-hard grillers in your family. For the competitive ones or family members looking for fun during an afternoon rain, a full-size ping pong table is located in a weather-proof area underneath the home. Forest Beach is one of Hilton Head’s original beach communities and home to Coligny Plaza, the Island’s “Downtown” with more than 100 specialty shops, grocery stores and outdoor cafés. Forest Beach is home to the Van Der Meer Racquet Club and Tennis Academy, bike trails, and miles of the Island’s most beautiful stretch of beach and coastline. Guests are also close to Hilton Head amenities including golf, marinas with watersports and Zip Line adventure tours. The house at 24 Jacana was beautiful and fully furnished for a wonderful week on HHI for our three generation family of ten. A call to Destination Vacation about a minor issue upon arrival was immediately and thoroughly resolved. Thank you! This was a hassle free rental from start to finish. The home is well maintained and in a fantastic location. Great home and amenities. Office team exceptional. We would luv to stay again. Thanks so much for a wonderful vacation. Destination Vacation was very accommodating and very responsive to any questions we had. The accommodations were very nice, spacious and had a lot of amenities. Just a few things could use an update like repainting the railings outside but overall a great place and would recommend staying again!! *Manager's Note: The owner of this home appreciates your comments and is happy to report that repainting the railings is already on his list of improvements following the current busy season, so they will look brand new in 2017! 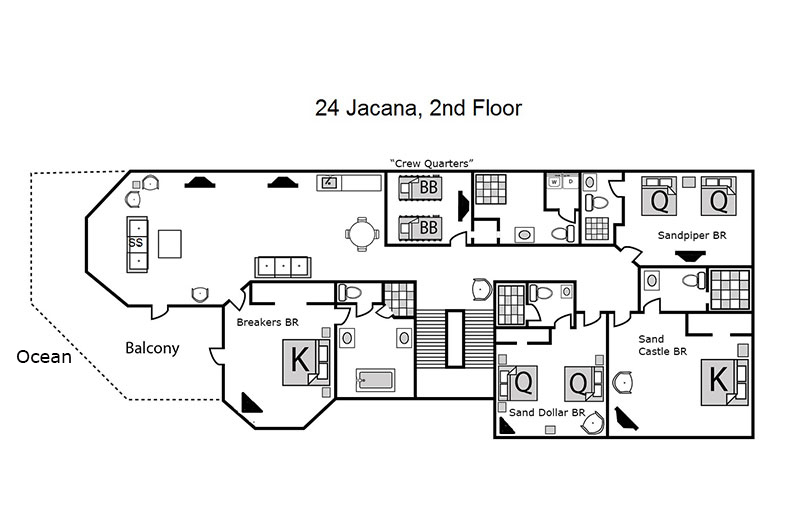 "Great Location and Home for a Large Group"
We had a group of 17 people and enjoyed our week at 24 Jacana. The location was close to the beach in a section that wasn't crowded. The views were fantastic from the back of the house. We loved the two common areas, lots of fridge space, and the bedrooms laid out in a way that noise was minimal. We only wished for a second dishwasher and a longer stay! As in the past, had a great week and Destination Vacation did a great job! Your home is wonderful. It was the perfect destination for an extended family vacation. Thanks for making it available. Our first family trip to Hilton Head and it was such a joy to spend it at 24 Jacana! Perfect weather paired with a beautiful home – a true vacation. Very comfortable accomodations for our large family of 14. Thank you for sharing your home and allowing us to have a great memory-filled trip! "Peaceful View of the Ocean"
Thanks for the memories! Such a peaceful view of the ocean in the mornings and yet such energy during the day. Thanks for sharing your “retreat” for a wonderful family vacation!